October is here and I am honored to have another talented lady in my blog and of course a new interview and a gift for you, my friend Soula from CraftySou, the first lady I met from Etsy Greek Streat Team. I have to say that I trully admire Soula, since she is a mother of three boys but at the same time a very talented lady… her creations? From beautiful gemstone jewels, to silver and gold rings and amazing scarves! All of them really unique and gorgeous. So please let me introduce you Soula from Craftysou!!!! Hello, I’m Soula from Craftysou!!! I’m a mother of three wonderful boys. 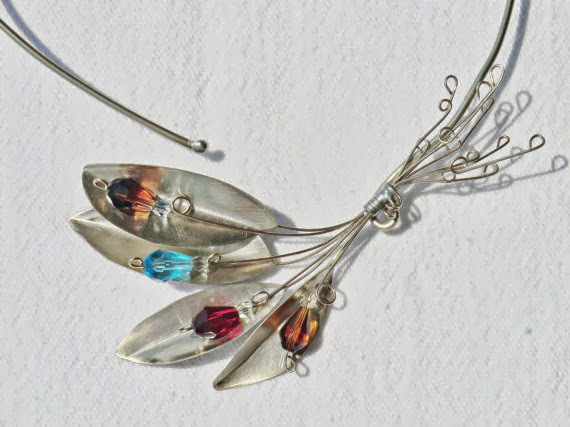 Since I remember myself I liked two things: Chemistry and making jewelry. I studied Chemistry but years later I decided to take a few metalsmith classes so I would be able to make my own metal jewelry. I like to work with metal and in my shop you will find pieces made of brass, copper and silver which I combine with gemstones. My favourite piece of jewelry is rings, so you will find a variety of them in my shop. My latest passion is with square wire and I have created rings using that. I got my inspiration from geometry, nature, people around me. I was familiar with Etsy.com long before I decided to open a shop there. I found lot of artists around the globe that I admire and I said to myself “why not share your work with other people too?” so I opened my shop! Every time someone chooses an item from my shop I feel unique and I put my heart and soul into making it and make that person feeling unique too. No two items are exactly the same and that’s the beauty of handmade! I try to keep up with the current trends and I’m exploring new techniques as it comes to metalsmith. 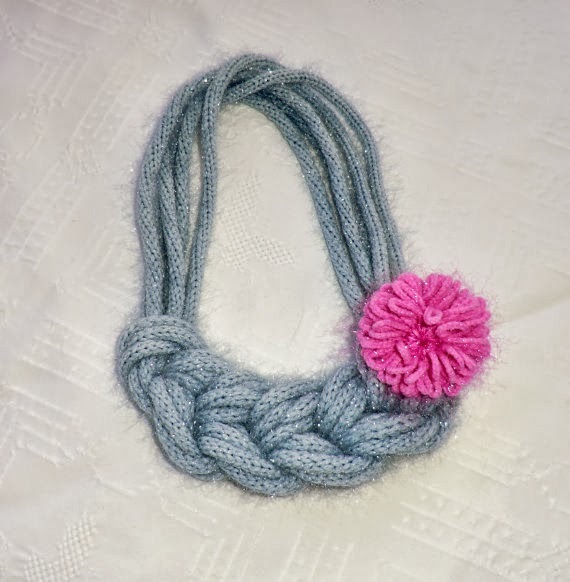 Apart from metal and gemstones I like luxurious yarns and I like knitting so I added a few handmade scarves and yarn necklaces in my shop. When I work with metal it’s kind of rough and it keeps my adrenaline high, so knitting takes the tension away and makes me relax! Well, thank you for your time and don’t forget to visit Craftysou!!! 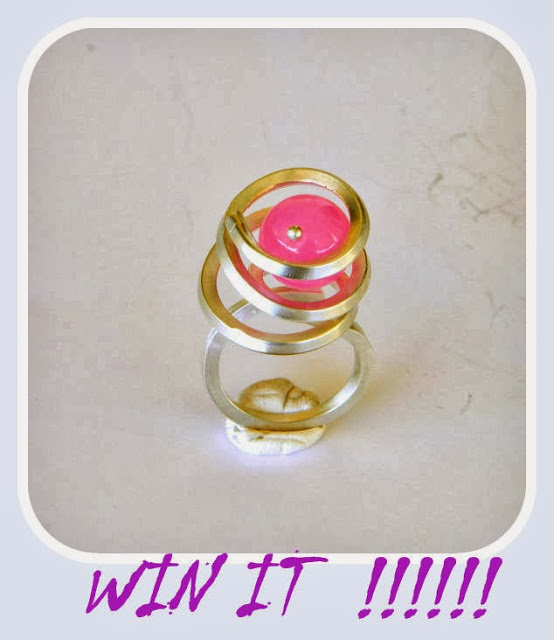 Soula was really kind to offer a gift from her collection to one lucky lady….. a Gorgeous SIlver Plated Cocktail Ring with Pink Jade from Craftysou collection!!!! In order to have the chance to win and choose your favorite earrings, just use the Rafflecopter below and earn more entries. Winner will be announced on the 20th of October. superb rings!!! I love Blue Goldstone Ring!!! Great creations. Beautiful rings! my favorite is Emerald Green Ring. I like the Rose post earrings, mint pink neon green rose earrings, set of 3 pairs flower stud earrings, under 15 20 25. 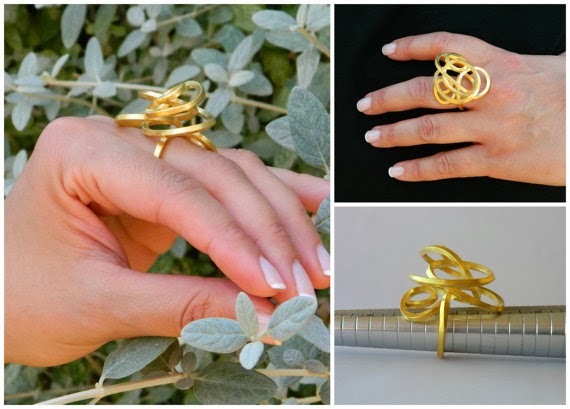 I like Gold Ribbon Ring. I love Craftysou rings collection!! The Rose Quartz Ring is great. Thanks! I love your creations Soula!! The curvy rings are my favorite! 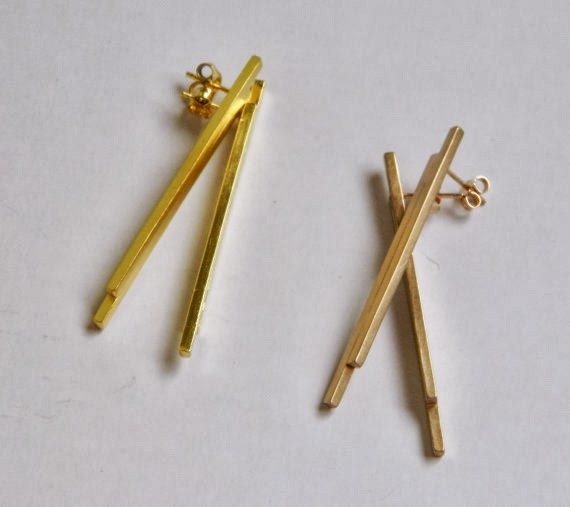 Love the "gold bar" earrings. hi your works are fabulous! Ο διαγωνισμός σας φιλοξενείτε στο http://www.e-contest.gr Καλή επιτυχία στους συμμετέχοντες!! This necklace is so sweet! I love it! Great giveaway!! Thank you girls for thw opportunity!! 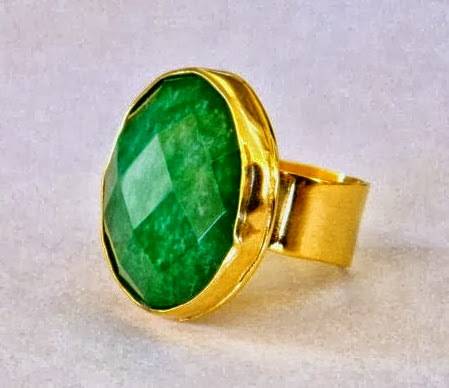 Emerald green ring is great ! Open front necklace, OOAK wirework choker, open front necklace with semiprecious stones.